Ald. Peter Braithwaite (2nd) at Monday’s City Council meeting. Aldermen voted 7-2 in favor of changes to a taxicab program for residents with disabilities and senior citizens. Aldermen approved changes Monday to a taxicab program for senior citizens and people with disabilities that would increase costs and decrease boundaries, moving away from paper coupons and toward virtual payment. The program — aimed at alleviating financial barriers for residents with mobility challenges — provides subsidized rides with participating taxi companies to residents who demonstrate financial need and have disabilities or are over 60 years old. Monday’s ordinance proposed a $1 increase in rider contribution, from $4 to $5. The ordinance also shrinks the program’s reach, restricting subsidized rides to within Evanston’s corporate boundaries. The changes will go into effect on April 16. According to city documents, these changes attempt to combat the significant increase in the program’s cost between Oct. 1, 2016, and Sept. 30, 2017, when the program’s boundaries included Wilmette, Skokie and Lincolnwood. Long term care ombudsman Audrey Thompson said another motivation for the rider contribution increase was preventing conflicts with cab drivers. “(Our riders) got a lot of backlash from cab companies because they did not feel that there was a fair fare,” Thompson said. She said the changes will have riders and the city splitting the bill equally. She also noted that the new program will allow residents to continue using paper taxicab coupons through 2018, but will encourage a transition to debit cards that would allow riders more flexibility with different forms of transportation, including rideshare companies. All but two aldermen — Ald. Thomas Suffredin (6th) and Ald. Robin Rue Simmons (5th) — voted in favor of the changes. Suffredin, whose ward includes two retirement communities, said he spoke with constituents who were concerned about the change. Rue Simmons added that Evanston’s senior community is vulnerable and subject to high taxes that already cause financial stress. City manager Wally Bobkiewicz said city staff is committed to ensuring that residents are comfortable using smartphones and debit or credit cards to pay for rides, adding that there will be at least six public workshops on the topic for users of the program. Bobkiewicz added that moving away from coupons will allow riders to keep their involvement in the program confidential, which he said the city hopes will decrease the stigma attached to the use of coupons. It will also prevent abuse of the program, he said, noting that because there was no limit on the number of coupons provided, a select few were engaging in fraudulent coupon brokerage. “This is an important service to provide our residents … we feel real positive that this is an improvement,” Bobkiewicz said. Ald. 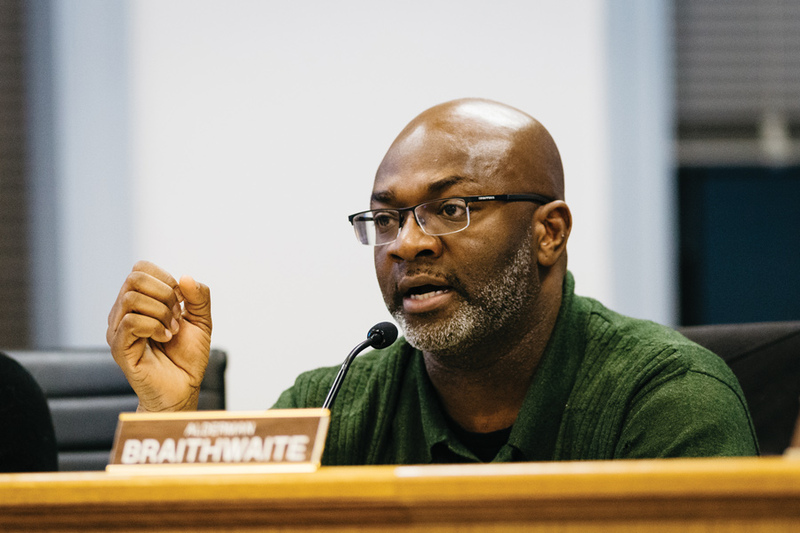 Peter Braithwaite (2nd), who voted in favor of the program, complimented the city staff’s approach to introducing the program. He said he had seen his own constituents grow more comfortable with the suggested changes through participation in the focus groups.